The PHI VILLA glass side table is an ideal combination of function and style. The 18 Inch Square Side Table can be a night stand, end or side table, coffee table, or to hold various items in any room at home or in the patio, outdoor. Folding design makes it easy to use.Tempered glass top is more sturdy. Material: Powder coated metal, tempered glass top. Table size: Dia.18"xH19". Feature: Foldable and easy to use. 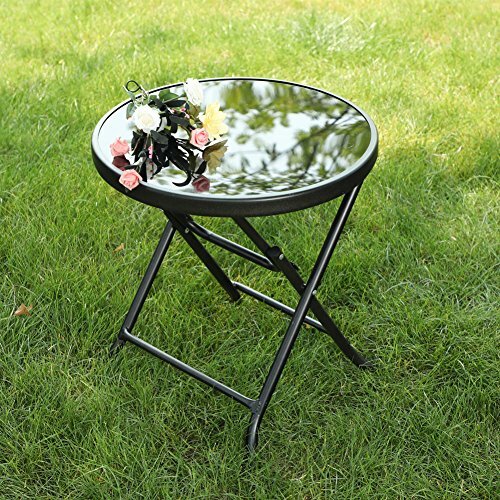 Color: Black table surface, frame in black color. Weather and rust resistant, easy to assemble and clean.